Here comes my most favorite festival Ganesh Mahotasav. 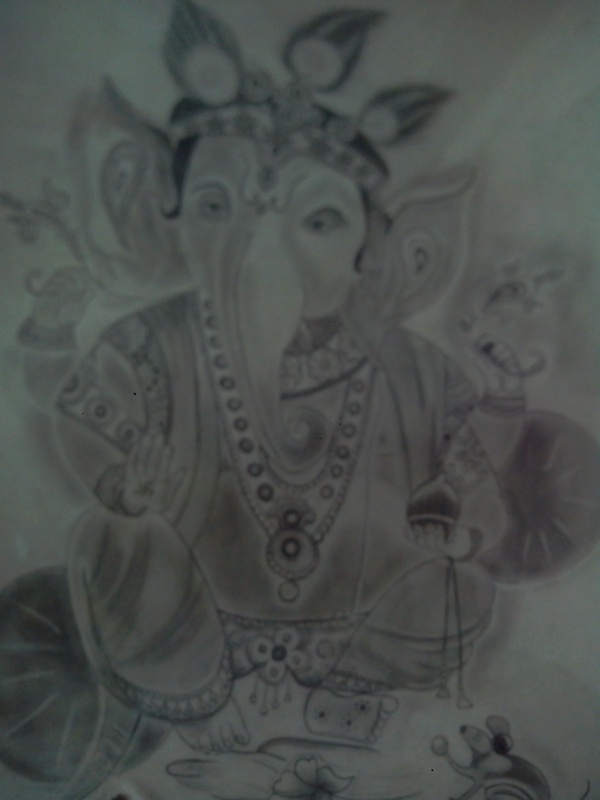 It feels like Ganpati have been coming to live with us for 10 days. Some people bring small statues of Ganpati in their home. Life like idols is placed in pandals with lots of lightening and music. I love to visit these places and it really appreciable that they always apply something innovative. But I never understand why some people want to spoil this festive environment by putting the loud music, this music sometimes gives us a headache. Old peoples and children get badly impacted by the loud music. Another thing that spoils environment is the idols made of plaster of paris. The Plaster of Paris is insoluble in water and the chemical paints used to adorn these plaster idols themselves contain heavy metals like mercury and cadmium, causing water pollution. We can opt to place the eco-friendly clay idols instead of these plaster of paris one, it will be a bit more expensive, but I think we can afford this much to save our environment. 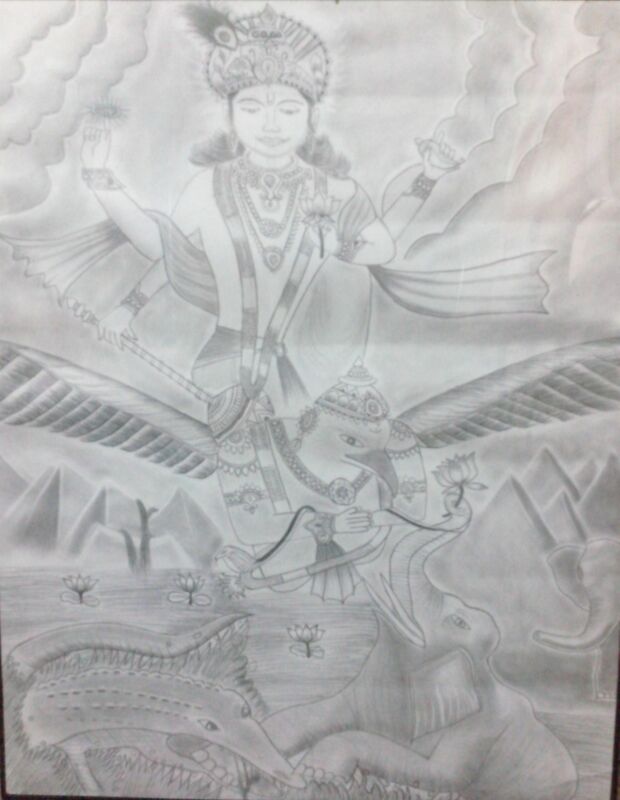 This sketch is drawn by me, narrating the Gaj-Grah story.This story is also called “Gajendra Moksha Katha”. The story goes like this there is a mountain called Trikuta. An elephant named Gajendra, was the king of a herd of elephants who lives on that mountain. One day he was playing with friends and family in a lake and suddenly a crocodile caught him by the foot.Gajendra tried to escape from the crocodile clutches but it didn’t work. His family and friends also tried to help him, but in vain. When they realized its hard to survive him, they left him alone. It is said that elephant struggled for a thousand years. At last, when his energy started collapsing and completely weak. He started to pray Lord Vishnu. Lord Vishnu heard his cries and appeared on Garuda to help. Lord Vishnu’s Sudharshan chakra killed crocodile and set Gajendra free.Gajendra offers Lotus to Lord in order to thank him. This story is a part of Vishnu Puran. It is said that if Gajendra Moksha mantra is chanted by a person, he gets the power to face the difficulties and come out of unwanted situations.